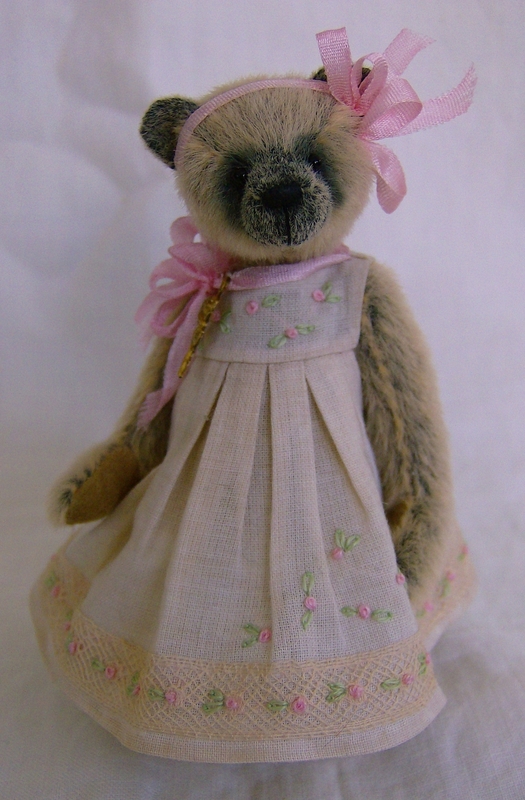 I have been busy stitching order bears for the last few weeks and we have also been trying to sort out some of the clutter in our lives. The garage is now neat and tidy and the boxes are in better order to find fabric, ribbons, books etc. One day we will have a bigger workroom where we can actually store things properly but at least things are more organised. Summer is on her way to America and I have a little cream and apricot bear waiting to be dressed. 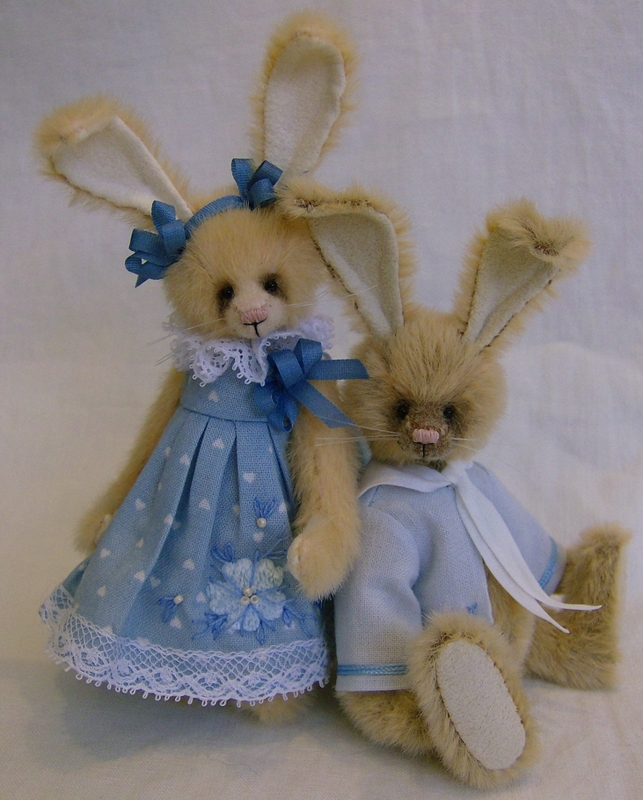 Briony and Benjamin bunnies are on the webpage at the moment. I should have some more bears to show you next week, so many stitched pieces and now I have to stuff, one of my least favourite things.